Verily, verily, I say unto you, He that entereth not by the door into the sheepfold, but climbeth up some other way, the same is a thief and a robber. But he that entereth in by the door is the shepherd of the sheep. To him the porter openeth; and the sheep hear his voice: and he calleth his own sheep by name, and leadeth them out. 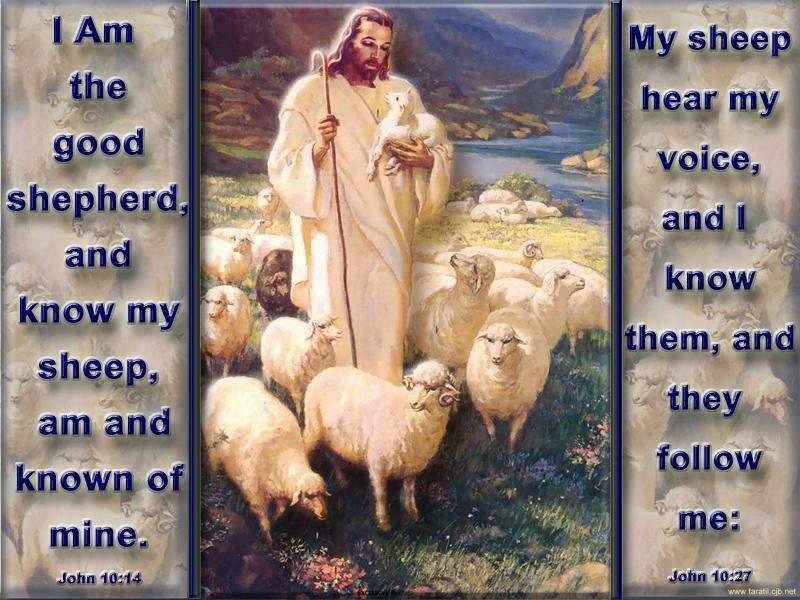 And when he putteth forth his own sheep, he goeth before them, and the sheep follow him: for they know his voice. And a stranger will they not follow, but will flee from him: for they know not the voice of strangers. That is Jesus speaking from The Gospel of John, Chapter 10, and verses 1-5. As followers of Jesus,we are to be so familiar with His voice that we can instinctively discern His voice and follow it, and at the same time discern the voice of a stranger and reject it. And some glorious day, in a day when Sin is no more and we are all part of The New Earth, it will be so, but not today. Today we find ourselves in bodies that were created in /sin and raised in a corrupt world system. Sad as it is to admit, following the voice of a stranger is all too easy. That voice might be the voice of wealth, or power, or lust, or any of a host of voices that are part of this evil world. If it were not for our God’s grace and mercy and His infinite patience with His children, we would not stand a chance. Oh, what a blessing that we have a Savior who is able to identify with our temptations, and forgiving enough to forgive us as many times as we require forgiveness. Thank you Lord Jesus that you have redeemed us from our sinful state and reconciled us to the Father by your incredible sacrificial love. 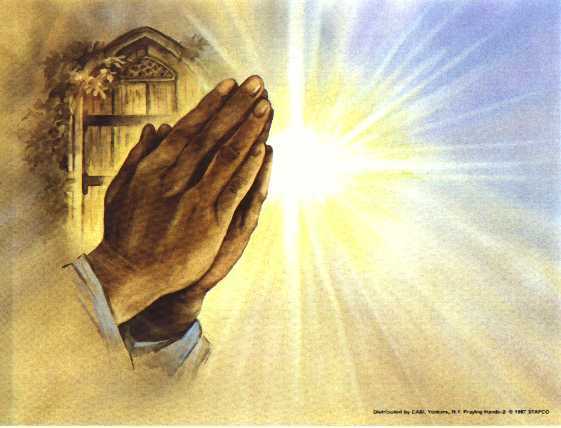 When I think of what you put up with from me, I can only bow my knee and give thanks! “The Sacrament Of Life” is the title of the last chapter of A.W. Tozer’s book, “The Pursuit Of God” For anyone who has not read this book, I highly recommend it. It has provided so many blessings to me. But none greater than the last chapter. In it, Mr. Tozer describes the difficulty that many Christians have with the two areas of their lives, the sacred and the secular. As Christians we want to live in the sacred acts of prayer, fellowship, shared worship, etc. but we find ourselves living in a secular world which forces us to deal with such tasks of making money, maintaining our home and transportation, etc. Thus we are forced to switch back and forth between our inner spiritual life and our external secular one. But Mr’ Tozer points out very eloquently how this view of two separate “lives” is nothing more than a misconception on the part of believers. At the heart of Mr. Tozer’s argument are some of Paul’s exhortations to believers that point out how the Lord intends for us to approach our lives. Seeing these verses, and others like them, it is clear that God never intended for us to separate our lives into secular and sacred. Rather, we are to do all to the glory of God. Every act then, whatever it may be, is to be done as an act of worship to the Lord. When we go through our daily routine at work, we should give our employers the same level of service as if we were working directly for the Lord. And, by extension, when we are engaged in any of our earthly tasks, we should look to perform them as unto the Lord, glorifying Him in all that we do. A few days ago, I was reading Psalm 119 as part of my devotion. When I came to this verse, the Lord pointed out something that I had never noticed before. 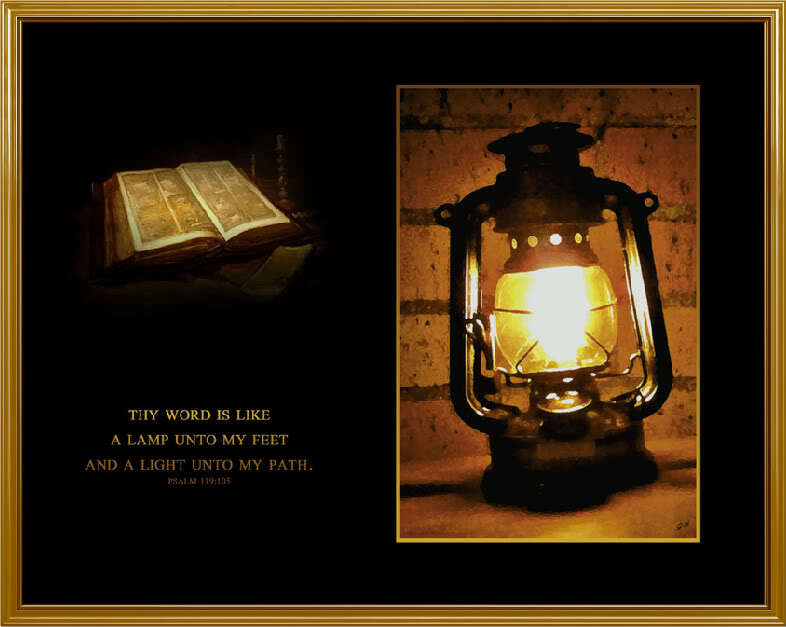 God’s Word is a light to my path, enabling me to see where I am going. I see this as me understanding God’s overall plan of salvation, so that I can understand my entire path through life and eternity, from my sin in Adam all the way to my glorification in Jesus when He returns, and beyond. From the Light of God’s Word, I can see the overall path that God has designed for all believers. But there is not only the general light, there is also a “lamp unto my feet”. I see this as much more focused. The lamp at my feet does not show me the broad strokes of God’s plan, but rather it allows me to see the next step that God wants me to take. Or maybe, if I peer deeply into His Word, I might be able to make out the next two steps. The lamp does not have a long-range, so it will not show me, except on rare occasions, what God wants for me a year from now, or five. But it will show me what He wants for me today. And, if I am living in faith and in trust of my Lord, being able to see today is enough. I hope that you find this passage of His Word as much a blessing as I do. This God, who is exalted above the highest heaven, is the same God who reached down into the depths of my sinful life and humbled Himself to the point of death, for me! 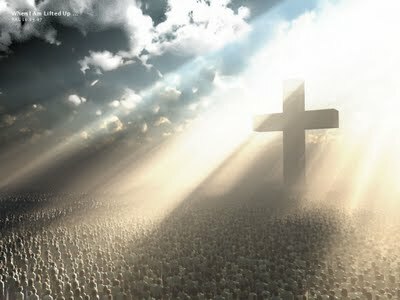 When the day comes, I will be there among those millions who worship His name for ever and ever. Will you be there with me? Are you worshiping His name today? Recently, the Lord has been leading me to surrender certain areas of my life that I have been holding on to, so I have been placing those areas under His Lordship and acknowledging that He is Lord of all parts of my life and that it is all His to do with, to use, or to discard, as He wills. So, in church this morning I came to realize as our Pastor was preaching on The Good Samaritan, that I had never surrendered this blog to Jesus’ Lordship. I quickly jotted a note so as not to forget and so I could let go the thought and listen to our Pastor’s message. The Lord has been speaking to me for some time about spending more time with this blog but I never knew how I might accomplish that. I just have never had a steady stream of ideas coming that I should be able to write more frequently. Until today. The Lord showed me the way, and it had only to do with His leading, and was not dependent at all on me coming up with ideas. And it was only after that revelation that I realized that I had never truly given this blog over to the Lord’s care. It was always my blog. I maintained it, and I was the one responsible for the writing. So, today I write for the purpose of dedicating this blog to the Lord. I will write as directed by the Lord, and respond to posts in the same way. 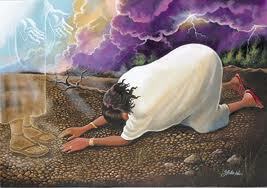 Lord Jesus, I bow humbly before you now as I dedicate this blog to You. From now on, may You be solely responsible for its content, and may the work that I do for it be always in keeping with Your will. Amen. The best part of the sermon though was the illustration, which was about the purifying of silver. Silver is mined from the ground in the form of silver ore. The ore is pulverized into powder and then put into a pot or cauldron where it is heated to over 900 degrees Celsius. As the silver melts, it sinks to the bottom, being heavier than the surrounding ore. Once all of the silver is melted, the slag, or dross, is left on the top where it is scooped off and disposed of. When the process is almost complete, the refiner will stir the molten silver to make sure that there are no pockets of slag remaining under the surface. As these pockets are loosened, they too float to the top, where they can be disposed of. The refiner knows the process of purification (or in human terms, sanctification) is complete when he looks into the surface of the silver and sees his own image reflected without blemish. The analogy of God purifying His saints is perfect. As God subtracts the sin from our lives, He replaces it with His holiness. His work in us is complete when He looks into our being, and the reflection He sees is His own, perfect in holiness. My daily prayer: Lord, I ask that You remove from my life anything that displeases You, until all that You see when You look at me is You. I realize this is a long video, but trust me, it is well worth it! Please, make the time to watch and be inspired! He Is Risen And Lives Forevermore! I have tried to come up with a blog topic for days but have been unable to come up with anything coherent that I could write about. The problem is, I have had several things churning through my mind, so no one thing will bubble to the surface and present itself as a single topic. So, I have decided to just share some of my thoughts as a blog post. Are You Prepared To Do Battle Today? I just read That’s Why They Play The Game which talks about the importance of preparing to meet your opponent when playing a game like basketball or soccer. No matter what the other team’s abilities or record, we must never assume that we have won the game before the game is played. We must never assume an attitude of over-confidence, but rather, of being fully prepared for battle in every contest we engage in. It is true of sporting contests. How much more true is it if our Christian walk?